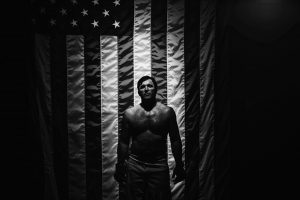 “I don’t do a whole lot of it,” Chael Sonnen said on a Tuesday conference call to promote his Belator 208 heavyweight title eliminator this weekend against Fedor Emilianenko, “just a show every here and there.” Sonnen was referring to his very active media presence as a podcaster and commentator. Even after working the wild UFC McGregor-Nurmagomedov card last weekend, Sonnen still claimed he was ready to face Fedor, a man widely regarded as the greatest heavyweight MMA combatant in history. “I’m sore and tired all the time,” Sonnen added, as proof that he’s been hard at work preparing for the Fedor match, which will go down at New York’s Nassau Coliseum. 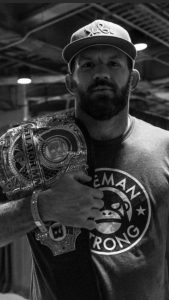 He’ll certainly have a chance against Fedor, a nice seeming man who nonetheless has earned a reputation as an aggressive, fearsome, and highly skilled fighter, one who is able to employ a variety of disciplines while in the octagon. 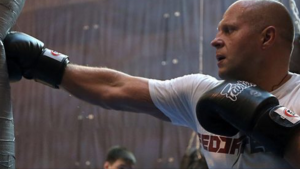 “I think Fedor’s great,” Sonnen said, declaring his foe “the best heavyweight of all time” (while adding Fedor was about “to face the best fighter of all time”). Sonnen, who was long known as a classic villain, now seems reasonable in an era of Conor and Khabib. Not that he’s happy about it. Yet, for the moment, Sonnen’s main priority is beating his famed opponent this Saturday. “I’ve been stunned,” he said of Fedor, “at how hard he can hit – especially with that right hand.” Not that he’s worried. Sonnen, after all, is the biggest heel around. Or at least that’s a character he still likes to play.